HOW WE DID IT: ZCBJ Hall in Clutier was built in 1902 for a place for the lodge Cestri Bratri to meet. It was used for other organizations’ meeting also and for dances, bingo, Czech plays, dinners, 8th grade graduations, school events, funerals, household sales, family gatherings, etc. As the town progressed, a brick school was built to hold all school events, and a Catholic Church and Hall were built so the ZCBJ Hall was not used as much. To keep up with the times they dug a basement and put a furnace in to replace the old pot belly stove and restrooms to do away with outside toilets. The Lodge also voted to have its meetings in English rather than Czech so young folk could understand what they were talking about. In 1995 Clutier was planning its 100-year celebration so a meeting was called concerning the future of the hall. Consensus was to preserve the hall. The building was of great historical significance to the community and too structurally sound to be destroyed. It was not presentable to rent out as it was, but if preserved, they would then have the opportunity to add beauty to the town and it could be rented for dances, reunions, auctions, etc. There were fundraisers, volunteer labor, donations of material and hours of real hard work. A kitchen was put in the old cloak room with some of the original bins kept for historical reminder. Light fixtures were restored with parts found upstairs. A handicapped entrance and bathroom were built on. The cook stove in the original kitchen was cleaned and restored. An old oil burner was cleaned and polished. Some of the tables they ate around which were just sawhorses and long boards were placed around the room to place antiques and displays on. All books in the library were cleaned and catalogued and placed in cupboards. Some Czech books are one of a kind. HOW WE GOT THE IDEA: From people’s comments to keep his historical hall in repair and open to public to use and for tourists to come and see what we have. OUR GREATEST CHALLENGE: Monies and volunteer labor, but the town is proud of our hall and is willing to help where it can. Our members are getting older. HOW WE OVERCAME IT: We try to keep things up one at a time. There is always something that needs fixing. ADVICE TO OTHERS: Decide what needs to be done, and work at it by getting community as well as members all involved. Advertise the hall as a gathering and event venue, as well as educate people on its historical value along with other historical buildings. WHAT IS NEXT: We are currently working with other county and state leaders to get the Lodge Hall listed on the National Register of Historic Places. 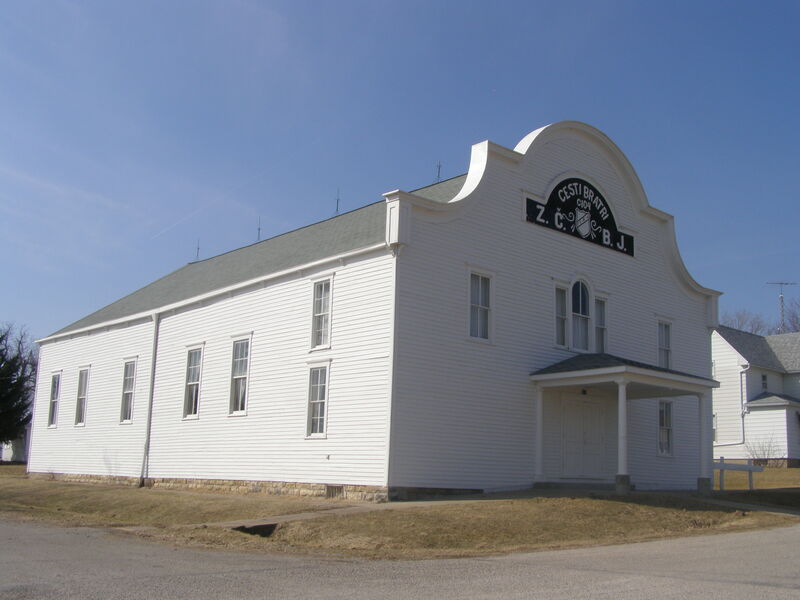 Economic Development Note: Tama County currently has 12 structures listed on the National Register of Historic Places, and 119 others have been identified as historically significant by local leaders. If you want to add to this list or help capture the stories, join Tama County Historic Preservation at their next meeting is Wed Jan 19, 6:30 p.m. Reinig Center. Annual grant writing workshop with list of grants for historic real estate will be available Sat. Jan 29, 9 a.m. Reinig Center.